Chiropractors have long been recognized for the relief they can offer patients through the use of spinal adjustments. However, this is not all that a Shawnee KS chiropractor is able to do for treating patients. Through the use of drugless or natural therapies, a chiropractor can successfully manage a number of conditions that cause a patient pain and reduces their mobility. At LifeWorks Integrative Health, we welcome new patients and encourage you to call us for an appointment with our chiropractor to learn how we might be able to help you. Heat and ice therapy. If you are suffering from back pain, your chiropractor may apply heat alternated with ice therapy to promote healing and increase blood flow. Massage. When your chiropractor massages the soft tissues on your back, it can reduce inflammation and swelling as well as improve circulation. Exercise. Your chiropractor from LifeWorks Integrative Health can provide you with detailed instructions for exercises that can improve your back by strengthening it and stretching your muscles. Diet. As with exercise, diet can have a tremendous influence on one’s health, including back issues. Your chiropractor from LifeWorks Integrative Health can offer information about dietary supplements and nutritious eating tips. Diathermy. This is an electromagnetic therapy that uses shortwave frequencies to penetrate soft tissue to the denser underlying tissues. It’s an effective treatment that your chiropractor may use to relax the connective tissues and muscles. Ultrasound. A chiropractor may use ultrasound which generates sound waves as deep heat therapy when applied to the joints and soft tissues. It’s a very successful treatment for reducing stiffness, spasms, and general back pain. It accelerates healing by increasing blood flow. Electrical muscle stimulation. When using this form of treatment, your chiropractor will place electrodes on the skin which send minor electrical pulses in focused areas. It can result in a reduction of inflammation as well as stop muscle spasms and relieve back pain. Hydrotherapy. Water can be very healing. A chiropractor may use various temperatures and water pressure in the form of whirlpools, wraps, saunas, or hot baths to reduce pain and promote healing. Infrared radiation. Your chiropractor may use a thermal camera to detect color rays which aids in the diagnosis of blood flow. Because infrared radiation detects the differences in temperatures in areas of the body, it helps to assess which areas are limiting blood flow which can indicate the cause of your back pain. Transcutaneous electrical nerve stimulators. This is a popular treatment that uses electrical stimulus directly on the patient’s body where they are in pain. The patient can control the strength of the electrical stimulation so that it’s comfortable. Many find that it releases their body’s endorphins which are natural painkillers. If you are suffering from back pain, you might benefit from chiropractic treatments. Call us at LifeWorks Integrative Health to schedule an appointment with a skilled chiropractor Shawnee KS patients recommend to find out which treatments might be right for you. We know you have so many choices for a chiropractor. Shawnee KS has some of the best around, but not all offer the experienced multidisciplinary team that is LifeWorks Integrative Health. Chiropractic care is one of the oldest and most beneficial therapies available that helps place your spine in the proper position to maximize its own potential and innate ability to heal. One of the key elements of chiropractic care is realigning the spine. This reduces pressure and dysfunction of the central nervous system. The nervous system controls every cell and organ in the body. Optimal functioning and clear signaling through proper spine alignment can have vast positive outcomes. A chiropractor Shawnee KS can trust needs to be someone who understands comprehensive, multidisciplinary care. With chiropractic care as part of an integrative health strategy, you can experience the power of the body to recuperate. In general, chiropractic care focuses on the relationship between the structure (spine) and function of the body (nervous system) Both need ample support in our high-stress culture where most people experience more pain and illness than they desire. Benefits of Seeing a Chiropractor. Chiropractic care can reduce pain, boost the immune system, prevent disease, and increase energy. If you experience poor posture, sit frequently for long periods of time, have musculoskeletal pain, arthritis, scoliosis or are an athlete, you need a chiropractor. Shawnee KS is home of LifeWorks Integrative Health with a whole team to help improve back pain, headaches, mental clarity, digestion, blood pressure, gut-brain connection and more. Many people do not realize that spine alignment can help colic, reflux and ear infections in children. Even children with epilepsy and adults with MS have seen profound benefit to chiropractic care. Just having someone align your spine can have health benefits, but when combined with other integrative modalities such as functional medicine, rehab therapy, and more, your health can truly thrive. If you do not yet have a chiropractor Shawnee KS can rely on as part of your wellness team, it is time! Just like other healthcare professionals, chiropractors throughout Shawnee, Kansas aren’t created equal. That’s why you shouldn’t go to the first one who shows up in a Google search. 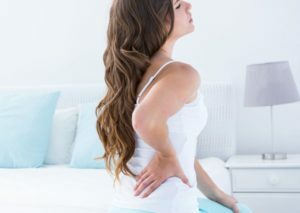 It’s important to choose an experienced chiropractor with a good reputation in the Shawnee, KS area. It is a good idea to ask your physician for a recommendation. A physician most likely knows some skilled and trustworthy chiropractors in your area. If possible, try to go to a chiropractor who specializes in your specific issue. For example, if you are currently pregnant and dealing with back pain, see a chiropractor with experience in treating pregnant women. It’s important to remember that it takes time for the body to heal. Whether you are dealing with back pain from poor posture or a neck injury from an accident, you probably won’t be able to repair the issue with just one chiropractic adjustment. To see the results you want, you should attend all of your chiropractic sessions. If you skip appointments, your body won’t be able to heal properly. An experienced Shawnee, KS chiropractor has treated others with similar conditions in the past, so you should trust his or her advice. For example, if your chiropractor advises you to perform certain exercises at home, you should do them. These exercises can help you improve your mobility and flexibility faster. During your sessions, you should never be afraid to talk to your chiropractor or ask questions. If the pain is too much when your chiropractor is performing an adjustment, speak up. If you don’t understand how to do certain exercises at home, you should ask your chiropractor for clarification. The more openly you can communicate with your chiropractor, the better your sessions will be. An experienced chiropractor from Shawnee, KS will explain that eating nutritious foods helps your body work the way it is supposed to and recover more quickly. If you fill your body with wholesome foods, it may help the chiropractic treatments work better. Eat plenty of leans meats, whole grains, fruits and vegetables and limit saturated fats and sugars. When you are at work or just sitting on the couch watching television, keep your posture in mind. If you sit up straight with your shoulders pulled back, you will reduce stress on your muscles and maintain proper alignment. If you keep these tips in mind, you will get much more out of your chiropractic sessions. Contact the chiropractor residents in Shawnee, KS trust today from LifeWorks Integrative Health to get a proper evaluation of your condition. With so many choices, it is hard to decide who to trust with your health. There are plenty of providers who will blindly adjust your spine while suggesting nutritional supplementation based on only your symptoms. While this can help at some level, it can also hurt since this is rarely enough information from which to develop a personalized approach to your health. When working with us, you have a chiropractor in Shawnee KS that patients count on who does a comprehensive physical medicine assessment, including x-rays to actually see the curvature of your spine. This enables us to develop the right plan for you. When needed, our rehab therapy programs teach you how to strengthen and stretch the correct muscles to have proper movement and maintain alignment. But that’s not all. We don’t stop at only exceptional physical medicine, because we know that it is only part of great health. The underlying systemic inflammation and imbalances also need to be addressed. If your hormones are imbalanced, your detoxification pathways sluggish, or you have high inflammation, your spine will not stay as well aligned. Having great health takes more than eating your veggies and taking a walk on a nice day. You need a chiropractor Shawnee KS asks for who employs a whole team approach to get you to the health you need for the life you want.